Zeeshan Khan is a Trainer and Human Resource Consultant at Stimulus & Funverks Global. He adds value to organizations by providing his expertise in competency based approach towards different interventions. He has completed diversified projects including Competency Framework Development, Performance Management System, HR Restructuring, Organizational Need Assessment, Sales Capabilities Development and Sales Distribution Survey. He has also conducted various market research including P.E.S.T.E.L. Analysis, Market Descriptive Survey, Purchase Analysis Survey and Customer Attitude & Expectation Survey of Solar Home Solution (SHS) in rural off-grid areas of Sindh and Punjab provinces. With all his corporate happenings Zeeshan has been engaged with voluntary engagements with students for their Career Development, CV Writing Skills, Interview Skills, Confidence Building, Social Media Handling for Job Seekers and Grooming Skills. His academia clients include SZABIST, Greenwich University, DHA Suffa University, Sukkur Institute of Business Administration (SIBA), University of Karachi (KU), KASBIT, Institute of Advancing Careers and Talents (iACT), INJAZ Pakistan and World Memon Organization (WMO). His reputed client list includes Nestlé Pakistan, ENGRO Power Gen, TPL Holdings, Feroze1888 Mills, UNHCR, Lion Brewery (Sri Lanka), Somewhere Hotels (Dubai) First Micro Finance Bank Limited (FMFB), Nizam Energy, C Square Consulting, Tameer Microfinance Bank and Sukkur Beverages Limited. 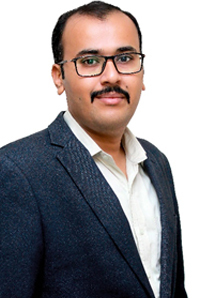 Prior to venturing into the field of organization development, Zeeshan has worked with K-Electric, Metro Cash & Carry Pakistan and People Logic Pakistan. He is constantly exploring possibilities in the way of human resources and believes that “There is no profession as dynamic and ever-changing as people profession. Not only does HR put the world to work; HR puts the world to work together”. Zeeshan loves to travel and meet new people; he is inspired by nature. He wants to travel and explore his field of interest from understanding different cultures and human behaviors. He resides in Karachi and travels frequently for assignments. © Copyright by Stimulus Pvt. Ltd.